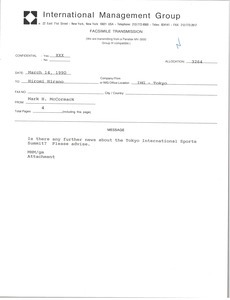 Concerning the attached, McCormack asks for an update on the Tokyo International Sports Summit. 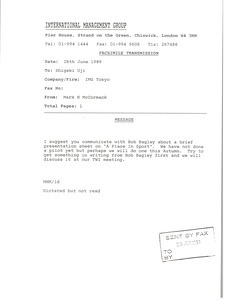 McCormack suggests that Uji talk to Bob Bagley about a presentation on "A Place in Sport." 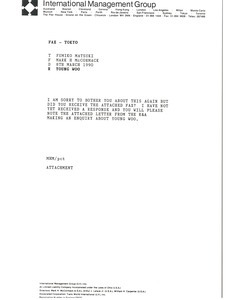 Concerning the attached, McCormack writes that he did not receive the letter from Gaston Barras and asks Wooldridge to get it from Ken Schofield. 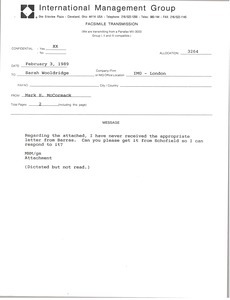 McCormack asks Goetz to translate the attached article about himself. 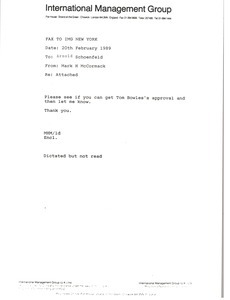 Concerning the attached letter from Robert McCowen of the All England Club regarding Time Sports, McCormack asks if Schoenfeld can get Tom Bowle's approval on it. 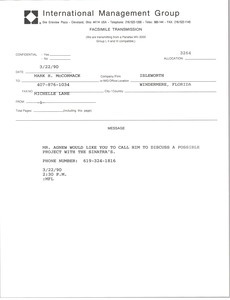 McCormack doesn't think they currently have any positions with someone of Clark's talent. 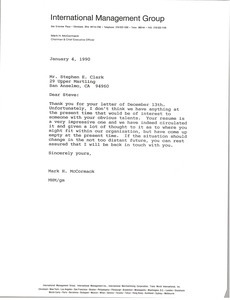 Clark wrote to McCormack with the suggestions of the possibility of representing IMG in the Barcelona 1992 Olympics. 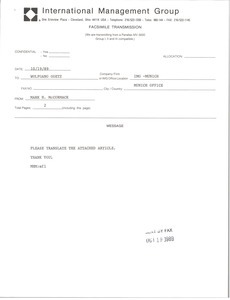 Concerning the attached fax, regarding the Young Woo falling through as a Koren licensee for the British Open. 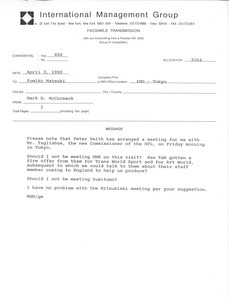 In response to Matsuki's fax, McCormack discusses the meetings for his upcoming visit to Japan. 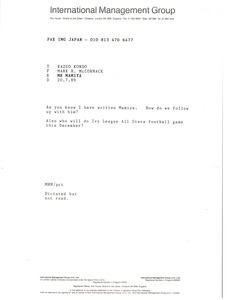 McCormack asks how to follow up with Mamiya, and who will do the Ivy League All Stars football game in December.